How much FUNDS collected by VASU, VASU’s Father and BARAHA Foundation by offering FREE IPR STOLEN BARAHA DOWNLOADS to 20 Lakhs Kannadigas all over the world ? Did IPR STOLEN BARAHA Fonts help the Kannada Software Development in Karnataka State ? How much FUNDS collected by VASU, VASU’s Father and BARAHA Foundation by offering FREE IPR STOLEN BARAHA Fonts DOWNLOADS to 20 Lakhs Kannadigas all over the world ? Did IPR STOLEN BARAHA Fonts help the Kannada Software Development in Karnataka State ? I knew about this. Only KANNADIGAS can do this !! If KANNADIGAS need to STAND for KANNADA LANGUAGE, they need to start asking questions on BARAHA and NUDI Fonts. BARAHA and NUDI fonts are DETROYERS of KANNADA SOFTWARE DEVELOPMENT. I am not saying this. People like Dr. U. B. Pavanaja, Mr. Sathyanarayana and others are saying this and they have written extensively on this. According to the above article sent by you, BARAHA FONTS being used FREELY by 20 LAKH Kannadigas. Can you and KANNADIGAS IMAGINE what has happened to KANNADA SOFTWARE DEVELOPMENT “KSD” in KARNATAKA STATE ? If BARAHA Fonts been used 20 Lakh Kannadigas, CAN YOU IMAGINE HOW MUCH FUNDS has been collected by VASU and BARAHA Foundation ? VASU and his FATHER has made MONEY out of this by offering BARAHA FONTS FREE to KANNADIGAS. WHY VASU has not put BARAHA FONTS in OPENSOURCE, so that all KANNADIGAS can use and develop it for other applications ? VASU has not done it because VASU wants to colelct FUNDS by offering FREE BARAHA FONTS. KANNADIGAS are not standing upto this and ask questions to VASU of BARAHA. You should know that VASU being felicited for STEALING from AKRUTHI FONTS and making MONEY out of this. That is the fate of KANNADA Language. As per writing of Dr. U. B. Pavanaja, BARAHA Fonts BUNDLED and used in NUDI Fonts by KAGAPA/KGP and SOLD it to Government of Karnataka for 30 Lakhs by KAGAPA/KGP. VASU of BARAHA, Srinatha Shastry, Narasimha Murthy, Dr. Panditharadhya of KGP/KAGAPA and others have done IPR VIOLATION and SOLD a IPR VIOLATED NUDI FONTS to GoK. If KANNADIGAS don’t change,KANNADA LANGUAGE don’t grow. If KANNADA LANGUAGE don’t grow, KANNADIGAS are not really living. If KANNADA LANGUAGE don’t grow, KANNADA LANGUAGE will not become Official Administrative Language of Govt. 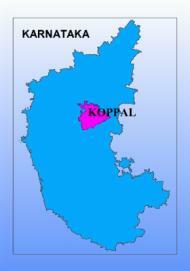 of Karnataka and in KARNATAKA STATE. For KANNADA Language to grow, KANNADA SOFTWARE DEVELOPMENT needs to happen. Baraha / VASU has copied and used one font from Akruti software. This font is one of the many fonts bundled with current version of Nudi. But morally, ethically and legally, this amounts to violation of intellectual property rights. After a long gap of six years, recently (2004), Vasu admitted that he used the glyphs from Akruti fonts, in a mail to S K Anand. KANNADA SOFTWARE has not developed due to BARAHA and NUDI FONTS. ONLY KANNADIGAS CAN DO THE FOLLOWING !!!!!! THAT IS THE REASON KANNADA SOFTWARE DEVELOPMENT GOING BACKWORDS. HOW CAN THIS HAPPEN ????????????? ಬೆಂಬಲಿಗರ ಬಳಗವು, ಅಂತರ್ಜಾಲದಲ್ಲಿ ಕನ್ನಡದ ಅತ್ಯುನ್ನತ ಸಾಹಿತ್ಯವನ್ನು ಬೆಳೆಸುತ್ತಲೇ ಅಂತರ್ಜಾಲಕ್ಕೆ ಹೊಸ ವ್ಯಾಖ್ಯಾನವನ್ನು ತೆರೆದಿಡುತ್ತಾ ಬಂದಿರುವ ಕನ್ನಡಸಾಹಿತ್ಯ.ಕಾಂ ಗಾಗಿ ಮೀಸಲಾಗಿರುವ ಯುವ ತಂಡದ ಬಳಗ. ಸ್ಥಳ: ಕರ್ನಾಟಕ ಕಾರ್ಯನಿರತ ಪತ್ರಕರ್ತರ ಸಂಘ, ಹಳೆ ಜಿಲ್ಲಾಧಿಕಾರಿಯವರ ಕಚೇರಿ ಆವರಣ. ಶೇಷಾದ್ರಿಯವರ ಬಗೆಗೆ: ಮುನ್ನುಡಿ, ಅತಿಥಿ, ಬೇರು ತುತ್ತೂರಿಯಂತಹ ಚಿತ್ರಗಳ ನಿರ್ದೇಶನಕ್ಕಾಗಿ ರಾಜ್ಯ ಹಾಗು ರಾಷ್ಟ್ರೀಯ ಪ್ರಶಸ್ತಿಗಳನ್ನು ಗಳಿಸಿ ಕಿರುತೆರೆ, ಡಾಕ್ಯುಮೆಂಟರಿ ಮುಂತಾದ ಕ್ಷೇತ್ರದಲ್ಲೂ ಮನ್ನಣೆ ಗಳಿಸಿರುವ ಸೃಜನಶೀಲರು. “ಬರಹ” ತಂತ್ರಾಂಶದ ಶೇಷಾದ್ರಿವಾಸು ಚಂದ್ರಶೇಖರ್‌ರವರೊಡನೆ ಒಂದು ಸಂವಾದ ಹಾಗು ಅವರಿಗೆ `ನಲ್ನುಡಿಗಳ ಸತ್ಕಾರ” ಕಾರ್ಯಕ್ರಮ. ONLY KANNADIGAS CAN DO THIS !!!!!! Submitted by ravee… on Mon, 23/10/2006 – 01:07.